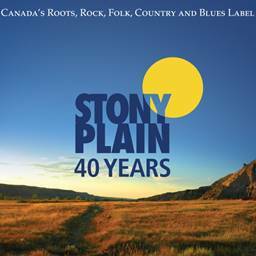 Stony Plain Records, Canada’s premier roots music label, has released a special 3-CD set, 40 Years of Stony Plain, which includes cuts from its illustrious history of albums, as well as a complete disc of rarities and previously unreleased tracks. Long-time label friend and celebrated Canadian publicist Richard Flohil contributes an insightful timeline to Stony Plain’s history and contributions to the music industry in his liner notes. “As I write, I realize that this is the seventh time that I’ve written this opening sleeve note for a collection of music tracks for a Stony Plain Records compilation,” states Flohil. “What’s ‘new’ in the history of this unique Canadian roots music label? Answer: Not much — except, amazingly, that Stony Plain’s still here, still releasing new music. And that it’s the oldest independent record company (in Canada) that’s persevered for four decades with the same ownership. 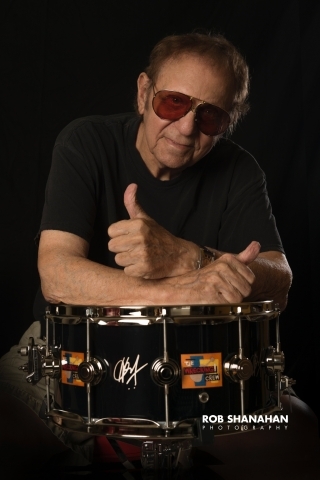 Recognized worldwide for its consistent quality roots and blues releases, one of Stony Plains early fans was legendary Atlantic Records music producer and label executive Jerry Wexler, who singled out the independent label for praise. Stony Plain Records has earned 6 Grammy nominations and a shelf full of Canadian accolades, including 11 Juno Awards, some 20 Maple Blues Awards, and Canadian Country Music Association awards as well. The Blues Foundation named Stony Plain as the 2014 label of the year, and Holger Petersen as broadcaster of the year in 2008. This year, he marks his 30th year as the host of Saturday Night Blues, nationally broadcast every week on CBC Radio; he also continues to host Natch’l Blues each week on CKUA after 47 years. “Since 1976, Stony Plain has reflected its owners’ eclectic tastes, survived, and continues to release vibrant, substantive music,” Richard Flohil writes. “The label’s genesis goes back a little further than that — Petersen has been a music addict since he was a little kid, and his enthusiasms have led him (often simultaneously) in a variety of different directions. “Petersen’s also earned two honorary doctorate degrees from Athabasca University and the University of Alberta, and — most important of all — was inducted into the Order of Canada, the country’s highest civil honor, for his services to Canadian culture in 2003.